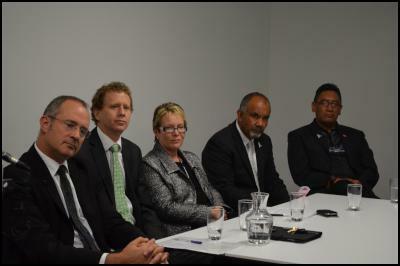 Members of the Mana, Mori, Labour, Green, and NZ First Party are highly critical of the Trans-Pacific Partnership Agreement (TPPA) which could be agreed upon in a meeting of trade ministers in Singapore this weekend. 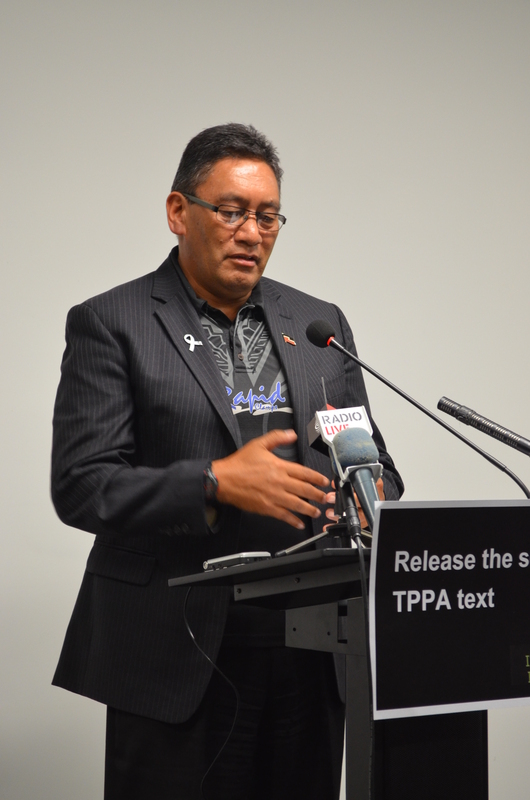 Members of the Mana, Māori, Labour, Green, and NZ First Party are highly critical of the Trans-Pacific Partnership Agreement (TPPA) which could be agreed upon in a meeting of trade ministers in Singapore this weekend. They called for the Government to release the draft text so that parliament and the public could debate the document. 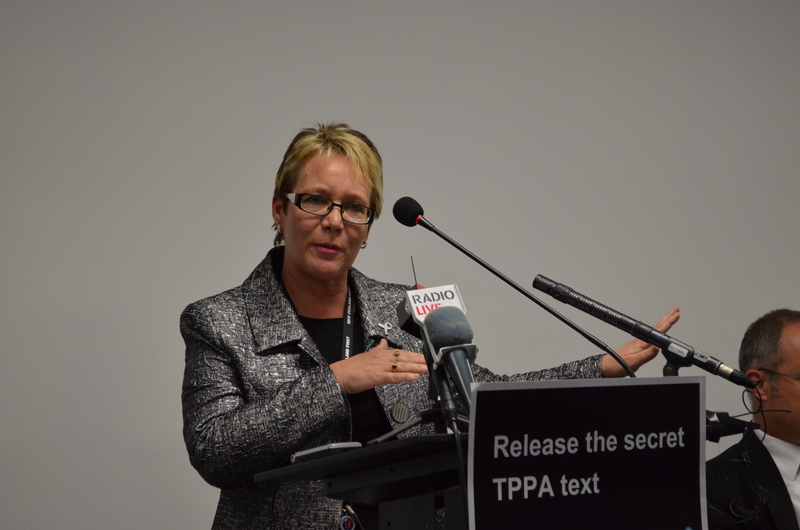 Representatives from the parties each spoke for three minutes at a press conference in Wellington to lay out their concerns about the TPPA, and then took questions. A conference organiser said a campaign to highlight the secrecy of the TPPA resulted in 26,000 signatures on an e-petition, or letters to political leaders, all calling for release of the draft text. Mr Norman said the big issue was transparency. Other governments had been more upfront about negotiations with their citizens. The only people who did not know the details of the negotiations were New Zealand citizens. The Government could sign an agreement which could open NZ up to being sued by foreign corporations, and that would undermine the ability of governments to properly regulate. He said he did not think that it was likely that there would be a deal made this weekend as there was not enough in it for New Zealand. However he was concerned that the New Zealand negotiators were ideologically driven. 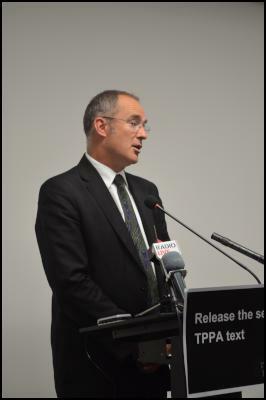 Mr Twyford said Labour was pro-trade, but it was withholding its support for the TPPA because the Government had not been transparent enough, and would continue to do so until more information became available. New Zealand must weigh up foreign corporate agenda against the ability to regulate. Provisions in the agreement around intellectual property were a threat to technological development in New Zealand. 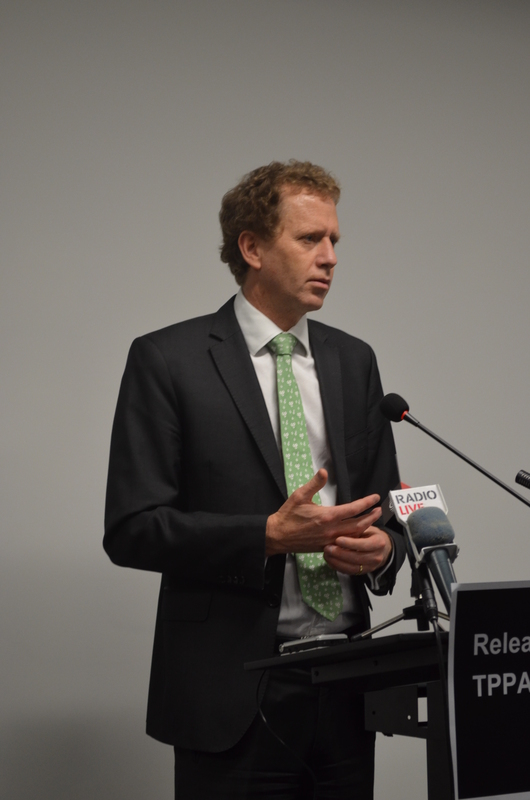 The government was taking an unacceptable risk in signing the TPPA, he said. Mr Harawira said the scary thing was that no one knew what was in the TPPA until it was leaked by Edward Snowden. The TPPA was a threat to the Treaty of Waitangi and New Zealand’s sovereignty, he said. 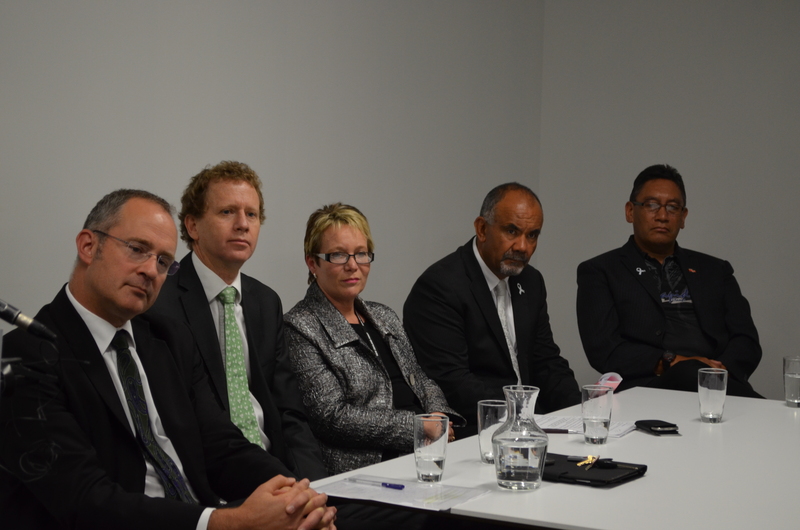 Mr Flavell also said he believed the TPPA was a threat to sovereignty. Ms Martin said as a small nation it would be impossible to get out of the agreement as it would be beyond our means.